I was working at my desk and looked over to find all three cats had joined my space. I love finding myself in the middle of the Purr-muda Triangle. 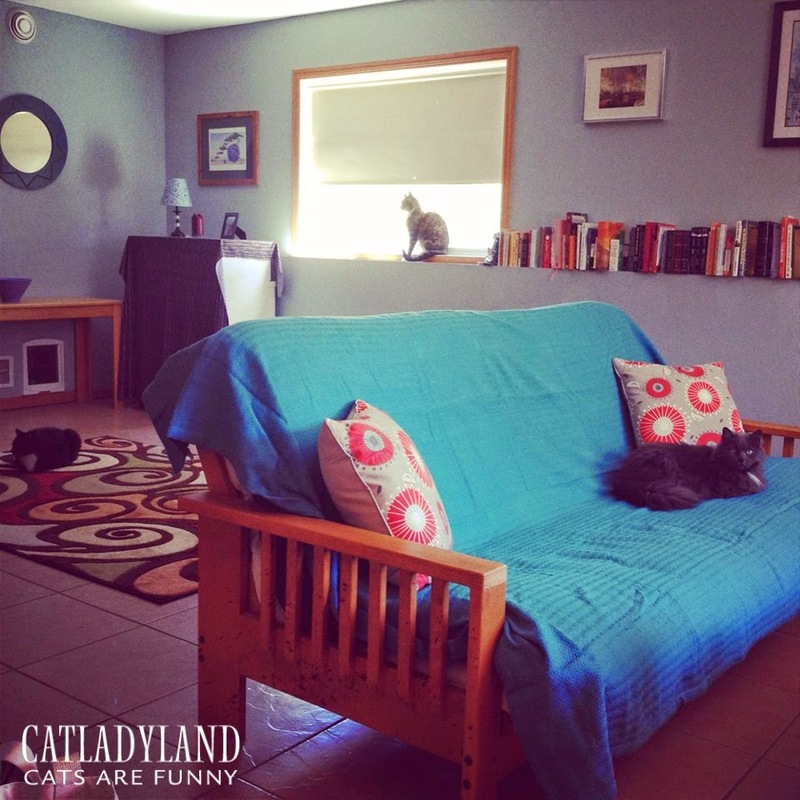 Can you spot all three cats?